Non-members are invited to submit entries. ​VENDORS: We are excited to announce that all vendors will now be in the same large room as the quilts. Sign up for your booth. 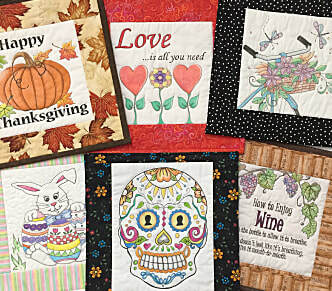 Click on the images to see a larger image, then click "rivercityquiltersguild" to see more. An Instagram account is not required.